Let's make nail polish rings! A tutorial. today I have a tutorial to share after much demand from friends and fellow bloggers. 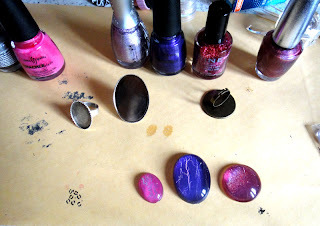 Do you remember my post about nail polish rings? Apparently they proved to be very popular and as a result I got many requests to make my own tutorial on how to make them. There are actually three ways to make them, today I will share the easiest one and in the future I will make tutorials for the other two methods as well. First of all here is what you will need. Before you do anything else make sure to put some paper on your work bench so you won't stain anything. I will give you two examples of nail polish design using two nail polishes layered on each other so you can achieve a more interesting look. Of course you can use only one colour as well. I will show you how to make a crackle nail polish ring and a holographic glitter nail polish ring. 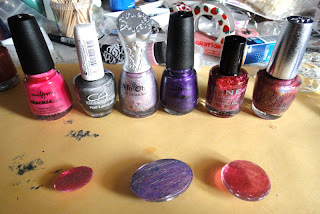 I have chosen to use two of the new China Glaze crackle polishes (in pink and purple), a fuschia glitter and some of my favourite holographic colours. 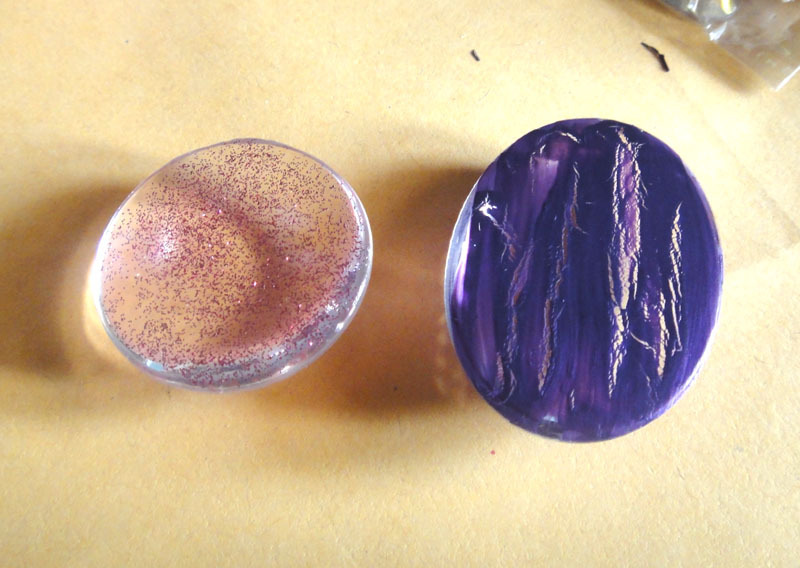 Take each cabochon and paint it either with the crackle polish or with the glitter. Wait for the colour to dry. Then take your second colour. 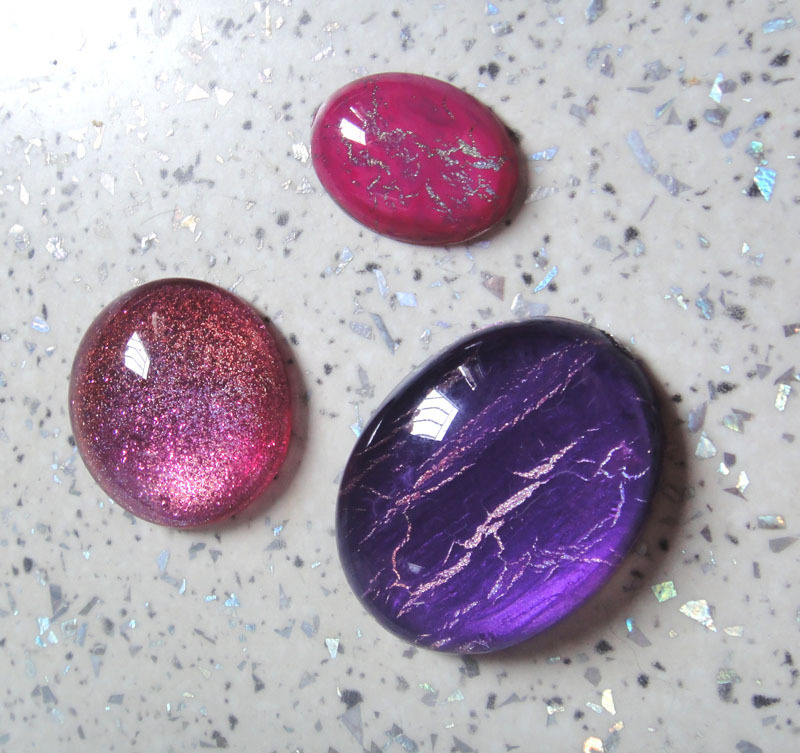 I used holographic colours for maximum effect but you can choose anything you like. Apply a couple of layers of the second colour until you get the desired effect. 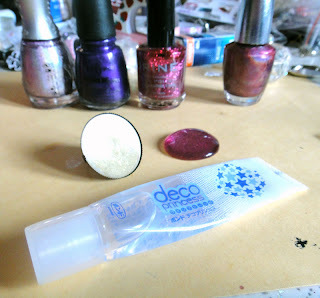 (wait for each coat to dry before applying the next one). 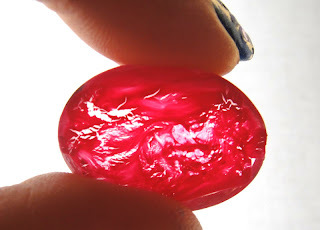 When your cabochons are ready, take an epoxy or a deco glue and the appropriate base for each cabochon, place an amount of glue on the base and place the cabochon. I hope you liked this tutorial. 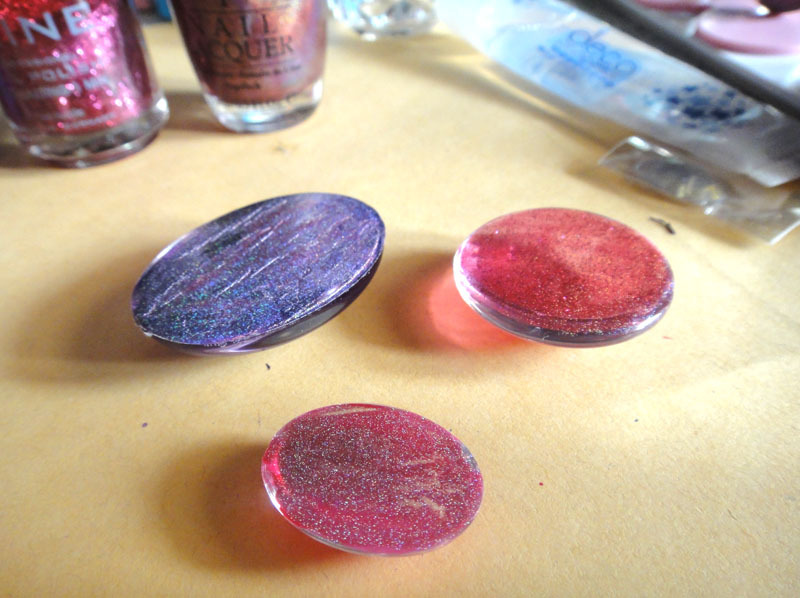 Depending on the polishes you will use, the possibilities are endless and I think it is very easy to make these. 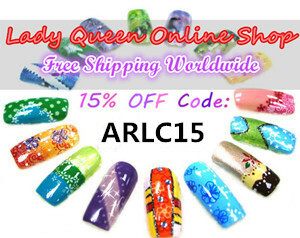 All the things you will need can be found in craft stores or online. Awesome!!! I'm so gonna give this a go sometime, I love handmade jewellery. What an awesome effect this gives! you are beyond awesome for posting this!! Είναι υπέροχα!! Πολύ χρήσιμο tutorial!! thanks for this tutorial!! ::) :) it is very useful! 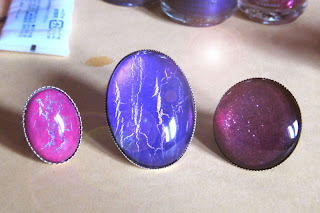 Can't wait to see your other tutorials on np rings! I was wondering how you made those! Thanks for the tutorial! Fantastic tutorial Cel!If some people used this, I'm sure they'd make even better nail polish jewellery (tsing!h kakia efuge :p). Very nice, where did you bought the ring base? Thank you so much everyone. I would love to see what designs you all come up with. I love the tutorial, but I have a question. Do you paint all the cabachon or only the base? Thank you.